Almost every gamer or tech knows that having multiple machines and having to switch between each can get to be a pain in the behind, especially when you have multiple devices hooked up to one monitor. This is where things like KVM switches or USB switches come into play. This 4 port usb switch is one of the only ones on the market and Aten is fully aware of it because it's rather pricey (you won't find it for less than $50). With my setup I needed a usb switch, not kvm because I don't want to switch the image on my monitor, just the peripherals, and this feature on a KVM would bring it to at least $300. While being able to hook 4 peripherals up to 4 different devices is great, it does have its downside in that things get rather messy with all the cables (unless your peripherals have a wireless usb receiver like Logitech keyboards and mice which in your case this works out in your favor). Once you get everything connect though, you'll realize that not only is it messy, but the switch can't hold the weight and will continue to fall off your desk until you just pick it up and throw it out a window. I had to use my Galaxy Note 3 docking station as an anchor for this thing to keep it in place, others will have to find some other paper weight to use. Now that we're setup, does it switch well? For the most part, yes. It comes with a wired clicker that you'll have to place close to you and some stickers to label the led lights (which you won't need at all since the configuration is very obvious). After awhile the clicker tends to get stuck or kinda hard to press at which point you have to press it harder and it'll return to normal. There is about a 2 second delay when switching between devices which could turn into 8 seconds if your computer takes awhile to recognize plug-n-play devices. Overall if you don't want to pay $300+ dollars for a KVM switch with 4+ hubs and individual peripheral switching feature then go for this. 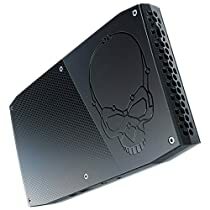 I'd say this isn't worth the full $55+ asking price, but if you can find it for around $30-40 it'll be a good edition to your gaming setup or workstation. Just remember to find something to hold it down (maybe some strong double-sided adhesive tape) if you're going to use every available port on this thing. Even if you're going with wireless peripherals the weight issue is still there as you have four 3ft usb 2.0 cables on one end. Aten definitely should've gone with a wide rectangle instead of a square to help spread out the weight.